Standard tariffs vs time-of-use pricing. Which should you choose? Home > Electricity Prices > Standard Tariffs Vs Time Of Use Pricing. Which Goes Best With Solar? Standard Tariffs Vs Time Of Use Pricing. Which Goes Best With Solar? What will give you the lowest bill, a standard or time of use tariff? What if you add solar? What about batteries? Australians pay for grid electricity in two ways. The most common way is a standard tariff. But you can also choose a time-of-use tariff. This is where you pay a fixed rate for each kilowatt-hour used, plus a hefty supply charge. 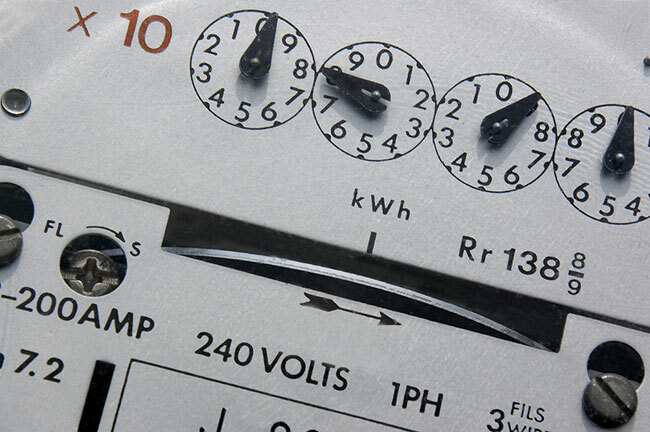 Australians have been paying for electricity this way since the the electricity meter, invented in 1888, was developed into the ‘spinning dial’ type in 1914. So Australians have been using standard tariffs for over a century. While large businesses have been using time-of-use pricing in one form or another for a long time, they have only become widely available to Australian households over the last few years. Time-of-use tariffs are available, for those who want them, in some form almost everywhere except Tasmania. With time-of-use tariffs electricity is cheapest when you use it late at night and early in the morning. It is most expensive to use it in the late afternoon and evening. Households with rooftop are usually better off on standard tariffs. This is because they tend to use less grid electricity during the day and more during the late afternoon and evening when time-of-use tariffs are expensive. There are two main exceptions to this. The first is for people whose electricity consumption patterns are unusual. And the second is for people who are themselves unusual. That is people who are willing to change their behaviour and do what it takes to get their grid electricity consumption down during peak periods. Installing battery storage will almost always result in time-of-use pricing being the most cost effective for a household. This is because batteries can discharge in the evening and reduce the need to purchase expensive peak electricity. However, with a small battery system that has a very low power output, a household could still be better off with a standard tariff. Standard tariffs used to be the only sort available to households. Old analog meters could only record how much electricity was used but not when. Apparently no one thought of giving analog meters wristwatches so they could jot the times down. I’m sure it would have worked just fine provided no one gave them digital watches, as that would probably make them feel inadequate. Meters had to get smarter before they could allow households to use time-of-use tariffs, and that is exactly what is required – a smart meter. Don’t be too impressed by their name. The ones we have in Australia aren’t that bright. For example, they can’t do your taxes. But what they can do is record how much electricity is used each half hour and an electricity retailer can use that information to charge a time-of-use tariff. If you don’t have a smart meter you’ll have to get one before you can have a time-of-use tariff. Depending on where you are the cost can range from quite reasonable all the way to unreasonable. For example, if you are in Canberra you will pay $500 or more to have one installed. If you live in Victoria then you already have a smart meter and were charged for it whether you wanted one or not. Note that you can still get a smart meter and stay on a standard tariff. No-one can force you onto a time-of-use tariff. Standard tariffs are pretty straight forward. You use electricity and you pay for each kilowatt-hour, plus a daily supply charge. But there are a couple of complications that may apply. For example, in South Australia some plans charge around 3 cents a kilowatt-hour more for electricity in the summer, which electricity retailers consider to last from the 1st of November to the 31st of March. It is also common to be charged different rates depending on how much electricity you use. For example, one plan available in South Australia charges around 27 cents each for the first 100 kilowatt-hours used in a month, 28 cents each for the next 233 kilowatt-hours used and then 33 cents for each kilowatt-hour used after that. There are also plans that work the other way and charge you more the less electricity you use. As households with rooftop solar often have low electricity usage, they are usually best avoided. It is possible that you are paying more than the tariffs above. If this is because you are paying for green electricity, then thank you. But if it is just because your electricity retailer is overcharging you then you’ll want to use SolarQuotes’ electricity price comparison tool to find a better deal. This tool will show you the standard tariffs available from electricity companies in your area. Even if you are paying the same rates as the table, you may still be able to find a plan which is better for you. The comparison tool allows you to enter your previous bill’s details and will predict how much various retailers would have charged for the same usage and also provides information on the feed-in tariffs they offer. Time-of-use pricing exists to incentivise you to use more electricity when overall demand is low and use less when demand is high. This is because it is easy to supply extra electricity to a household at around 4am when most people are asleep and total demand is low, but it can be difficult to supply extra power in the middle of a summer heatwave at around 6pm when almost everyone has their air conditioner going full blast and the output from rooftop solar is rapidly falling. When transmission lines or generators, or both, are working at full capacity it can be impossible for the grid to meet extra demand and turning on your air conditioner in the middle of a heatwave can cause part of the grid to fail and a blackout to occur. It costs a lot of money to build the extra transmission and generation required to increase the peak power the grid can reliably supply in a heatwave. So it can be cheaper to just give people an incentive to use less power during periods of high grid electricity demand. And so time-of-use tariffs were introduced to train people to use less electricity during these times. And time-of-use tariffs are all about training, because they usually apply all year round, not just when peak usage is a problem. There are only on average 14 days a year in which meeting grid demand is a problem and usually only a few days in which it is a serious problem. In Victoria and NSW it can be difficult to meet grid demand in winter on account of cold weather as millions of people turn on heaters at the same time. But in very hot states the grid usually only has trouble meeting demand in summer. 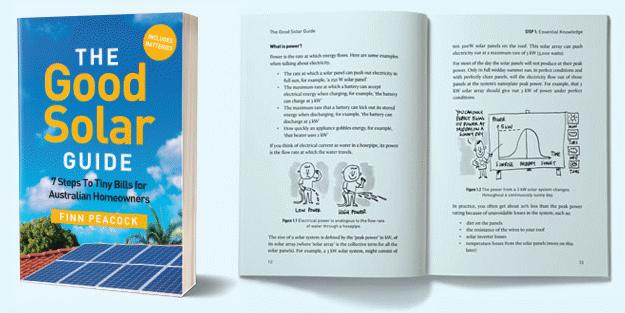 As a result, in South Australia and regional Queensland it is possible to get a time-of-use tariff where peak prices only apply in the summer months. In South Australia the summer peak period can apply from the 1st of November to the 31st of March, while in regional Queensland it can be from the 1st of December to the 1st of March. If you have a well designed house without air conditioning in SA or QLD (like Finn’s) then this tariff could work for you. Because meeting demand is usually only a major problem for short periods on a dozen or so days a year, instead of a time-of-use tariff, people could simply be charged a high rate only during these periods. This is called dynamic peak pricing and has been trialed in Australia. It worked, but as far as I am aware, there aren’t any dynamic pricing plans available for households at the moment. But they may become be commonly available over the next couple of years. Time-of-use tariffs usually have three different rates. From cheapest to most expensive they are off-peak, shoulder, and peak. The times these rates start vary, but the off-peak pricing applies late at night and early in the morning, the shoulder rate typically starts at 7:00 am when most people start waking up, and the peak rate usually starts around mid-afternoon and extends into the evening. In most of Australia peak rates don’t apply on weekends and public holidays, but in the Northern Territory they do apply on weekday public holidays and in South Australia they apply on every day from the 1st of November to the 31st of March. The periods and typical prices charged, including discounts and GST, that apply for the majority of people in a state or territory are shown below. Tasmania doesn’t have time-of-use tariffs because under normal conditions their hydroelectric capacity makes it easy for them to meet grid demand. Solar power generates electricity during the day. (If you didn’t know this, the world “solar” should have been a really big hint.) As a result, homes with rooftop solar systems generally use less grid electricity during the day and more in the evening, so they are usually better off with a standard tariff as it allows them to avoid high peak electricity prices. This is particularly true for families who are out of the house for most of the day, but is also often true for people who are usually home all day. For example, if my retired parents in Queensland were on a typical time-of-use tariff for Brisbane, then with their modest sized north facing rooftop solar system and allowing for the fact there are no peak rates on weekends and public holidays, their average electricity use over a year would come to around 16% off-peak, 45% shoulder, and 39% peak. With Brisbane time-of-use pricing of 18 cents for off-peak, 23 cents for shoulder, and 33 cents for peak, the average price they would pay for grid electricity would be around 26.1 cents a kilowatt-hour, while if they were on a standard tariff they would clearly be better off and paying around 24.1 cents. People who use less electricity during the peak period could be better off with a time-of-use tariff, but my parents use LPG for cooking and don’t have air conditioning, so it seems likely that most people with solar who are home in the evening will be better off with a standard tariff. To tell the truth, my parents don’t actually live in Brisbane. I just thought it made more sense to use the largest city in Queensland as an example rather than Wungaplukadunga or where ever it is they are. What Makes Time-Of-Use Tariffs Worthwhile With Rooftop Solar? A clear exception to the ‘standard tariffs = best’ rule for solar homes is if no one is home during peak periods. People who normally work on weekday evenings, or who are simply in great social demand, should definitely be able to benefit from time-of-use tariffs. There may also be households with rooftop solar that consume so much electricity during off-peak periods that it makes sense for them to be on a time-of-use tariff. But I’m not really sure what they could be doing to use that much electricity late at night. Maybe running a herbal indoor hydroponics system like my friends Pigdog and Spider? Some people who are at home in the evening save money with a time-of-use tariff by carefully limiting how much peak electricity they use. Some people go as far as switching their refrigerators and freezers off during peak periods or even switching off the power at the mains. However, most people are not cut out for this type of effort. If you have ever turned on a heater rather than bother to put on a jumper, this approach is probably not for you. For most people the decision should be easy, if you have solar and are at home during the evening and you aren’t willing to bend over backwards to cut your peak electricity use, then you’ll almost certainly be better off with a standard tariff. However, if you want to be absolutely sure then you’ll have to monitor your electricity use. If you have a smart meter it is fairly easy, as your retailer can send you a file showing your consumption broken down into half hour periods. You will miss a lot of variation that occurs in those half-hours, but it is still a fairly good guide to go by. There are a variety of devices that can closely monitor your energy use starting at $150. And knowing the details of your energy use can be extremely useful if you ever decide to get battery storage. By storing solar electricity or off-peak power for use during peak periods, battery storage can make time-of-use tariffs worthwhile for homes with rooftop solar. So not even a new Tesla Powerwall is able to fully discharge during the peak period in Perth in January, while a Redflow ZCell would only be able to discharge 47% and the Enphase AC battery 36%. In Adelaide a Tesla Powerwall could only discharge itself 29% and an Enphase AC Battery 11%. If a household has west facing solar panels, they can provide a significant amount of electricity until sunset. If battery storage was not needed until sunset then it would not be used at all during a peak period in Sydney, Perth, Adelaide, Canberra, or Darwin in the middle of summer. This is particularly problematic in Adelaide as peak periods only exist from the 1st of November to the 31st of March. In practice households are not likely to use their energy storage at its full constant power output during peak periods. This is because household electricity consumption varies and is likely to often fall below the batteries’ maximum continuous output. As a result, battery systems are likely to discharge even less of their capacity during peak periods. It can be very difficult to use all of a battery system’s stored energy during a peak rate period and this hurts the cost effectiveness of buying battery storage in the first place. But if you do go ahead and buy batteries despite this, then you should consider switching to time of use pricing as well. Rooftop solar makes it easier for the grid to meet demand during the afternoon and so, as more is installed, the start time of the evening peak is likely get later. This is especially likely to occur in NSW and Victoria as their peak periods start quite early. Another emerging trend that will make the difference between off-peak and peak rates smaller is home and business battery systems. As battery systems gain popularity, less grid electricity will be used during peak periods. If you have rooftop solar, and are at home during the peak period, you are almost certainly better off with a standard tariff. However, if you and the people you live with are sufficiently motivated to change your behaviour it is possible to save money by being on a time-of-use tariff. While it will often be difficult to use all of a battery system’s stored energy during a peak period, homes with battery systems will usually be better off on a time-of-use tariff. Next Article: Is renewable policy Turnbull’s road map back to the centre? Time of use meters and smart meters are not the same thing. Smart meters communicate with the distributor. They allow for remote meter reading and for remote connection and disconnection. Time of use meters do not communicate with the retailer, cannot be turned on and off remotely, send and receive no radio signals. Smart meters can also use the circuitry in your house as antennae for picking up virtually any sound in your house….and sending the info. back to gawd-knows-where. I wouldn’t go near them with Bill Clinton’s appendage! ps….and just because you’re paranoid doesn’t mean they’re not out to get you! I don’t know what happened but I changed provider and standard meters we’re once again offered on applicatio..
My bills fell by up to $300.00 per quarte..
ive been using time of use with solar in NSW (Essential energy grid) and found it much better than single tarrif. for starters, yes, tarrifs are slightly higher for peak/shoulder, but they are identical. start 0700, finish 2200, then off peak the rest of the night. secondly, all weekend is billed at off peak. That makes a substantial difference to any usage as we all at home on weekend. my averages over 5 years saw peak/shoulder use equal to off peak use, and FIT was roughly ~1000kw/hrs over the 90 odd days with a 3kw system. my normal pattern of usage dropped from 18-21kw/hr/day to 5-7kw/hr in winter, and ~9kw in summer. If enrolled, electricity only costs 8 cents/kwh from 9 am to 5 pm. What battery systems are there that can be programmed to fully charge my battery from 9-5 then run my home off battery storage from 5 pm to 9 am? I know that my battery size depends upon my usage. I’ve been telling people for a long time that battery storage won’t pay for itself, but after taking a quick look at your Hawaiian time-of-use tariff I can definitely say they can pay for you. But even with a grid electricity cost of around 11 Australian cents during the day, 66 cents in the evening, and 46 cents at other times, you’ll still want a low cost battery system. After all, once enough people realize they can save money by installing batteries those high rates may not last. For this reason, if your electricity consumption is high enough to make its 13.5 kilowatt-hours of storage worthwhile, I suggest going with a Powerwall 2 as it is the lowest cost battery system that has been announced. Unfortunately they are not out yet and apparently people in Hawaii who have ordered one can’t get a firm date on when they’ll start being installed. Installations are supposed to start next month, but even if they begin on time, which is something we can’t be certain of, they might use Australia as a test market as they did with the original Powerwall and so Hawaii will have to wait. While no one knows for sure what the Powerwall 2 is capable of, I am certain it will be able to handle your time-of-use tariff and charge and discharge when you want it to. Optimal configuration for system with 2 batteries? I have reserved a Powerwall 2.0. The main loads in my all electric Hawaiian home include: split system AC for 3300 sq ft, pool pump with HP heater, 2 EV cars, electric stove/oven, dryer and other usual loads. I was looking for a used SE7600 inverter but got a great deal ($300 USD including shipping) on a late model, used Solaredge SE7600 with Storedge. Now I am thinking about also adding a LG Chem RESU battery. If I added a RESU 10H to PW2, that would give me (8.8 + 13.5 ) 22.3 kwh of storage, which may allow me to avoid vigorous load shifting and to run off storage during my high ON PEAK 5-10p ($.54/kwh) and OFF PEAK 10p-9a ($.37/kwh) periods. I would like to top off both batteries with MID DAY 9a-5p ($.13/kwh) power from grid if needed on cloudy days. Any excess solar generation could be sent to grid which will pay me $.106/kwh with HELCO’s CGS+ program. This storage would also give me more backup power in case of power outages. What is the optimal configuration for a 2 battery system; meter -> PW2 -> Storedge with RESU or meter -> Storedge with RESU ->PW2? I have read that both PW2 and Storedge can provide backup and be configured for TOU. I am afraid I don’t know what would be best way to set up the two battery systems. Hopefully someone can give some advice. I can see lots of potential for coordination problems. When they detect the home is exporting electricity will one consistently charge first or will they fight it out during the day? Same for discharging. I am leaning towards grabbing the interim TOU rates in Hawaii and capitalizing on the cheap off peak rates $0.10/kwh from 9 am to 5 pm. One way to reduce my battery storage requirement is to load shifting my usage to the off peak period. Run pool pump and heater mainly during off peak period. Primary domestic hot water (DHW) tank 80 gal would be set at 120F and have digital timer to only allow off peak and 5-9 AM heating. 2nd DHW tank (100 gal) and with digital timer to super heat water (140F) during off peak. Program EV car charger to only permit charging during off peak. Install digital timer on clothes washer and dryer that only allows operation during off peak. Encourage guests to only use electric stove/oven during off peak period and to use propane grills for cooking after 5 PM. Use ductless AC units and turn all off at 5 PM. They could each be manually turned back on after 5 PM. Any comment on these ideas and any other suggestions for load shifting? One advantage of the TOU with load shifting approach is that I don’t have to worry about excess solar energy collection from PV and solar thermal panels when no one is there. Until Hawaii offers more favorable rates for exporting energy back to grid, I want to avoid that as much as possible. That list looks pretty extensive, Tom, and I can’t think of any way to improve it off the top of my head. If I was more familiar with Hawaii I might have something constructive to say, but I am actually surprised to hear you have a pool heater. In this article you mention “no one can force you on to a time of use tariff” is incorrect. I have had a smart meter for 7 years and was on single rate until I had solar installed 2 months ago and United energy changed my meter tariff to time of use (TOD9) once the solar was installed and have since told me it can not be changed back to single rate ever. This is disgraceful. I work during the day while my solar is generating therefore I use no power during the day when it is off peak and any usage of appliances on standby is covered by my solar. Yet when I get home from work after 5pm and turn the heater and TV on and cook dinner I am paying premium Peak prices and has made my investment in the solar system not worth while. The whole point of installing solar was to save money on electricity bills and eventually recuperate my investment over the years. Now on time of use my system will never pay for itself. I had exactly the same experience! I’m with AusNet in Victoria. They basically penalise you for having solar. I can’t understand how this is legal. I tried ringing the ombudsman (a private service not gov run – but the person I spoke with didn’t know what they were talking about and were very unhelpful). It might be time to order a battery, and take load shifting measures like super heating your hot water tank during day, save clothes drying & running dishwasher in daytime, put timers on frig & HW tank to not run during evening peak hours & break out your crock pot to cook your dinners during day or use BBQ grill. Just some suggestions. A battery won’t pay for itself yet, but hopefully it won’t be too long before they are a reasonable investment. Many people experienced adverse health effects from smart meters. Make sure you do your research before proceeding.